Becoming a homeowner in the traditional way is fast becoming outdated. Consumers are looking for more creative and less expensive ways to own the type of home they truly desire. One solution to buying an existing home that is growing in popularity for a variety of reasons, such as lower cost and faster build times, is the use of kit homes or self build homes. These prefabricated wooden homes and house kits offer many benefits when compared to traditional construction, but as with most things, there are pros and cons, good and bad. Here’s what you need to know about prefabricated wooden homes and kit houses. If you have ever been into model cars or ship’s, then think of a kit house in the same way. Kit houses first became popular in the early part of the 20th century. Kit houses are different than modular homes or prefabricated wooden homes and give true meaning to the term self build homes. Simply put, a kit houses is a house, offered in a variety of plans and styles, that you build yourself. Everything you need for constructing the home is included in one fixed price. However, this cost usually doesn’t include brick, masonry, or concrete used for a foundation. Many different designs and layouts to choose from which offers a wide choice for individual style and taste. A prefabricated wooden home is not the same thing as a kit home. In fact, it’s more closely related to a modular home. With a prefabricated home, all of the elements of the home are created in a factory then assembled on site. Basically, it’s a matter of raising prefabricated walls and interior panels on top of a foundation that has already been laid. Prefabricated wooden homes have a proven history of quality and durability, and sustainability as well as offering lower cost and much faster build times than traditional construction methods. Buying a new home comes with many different financial challenges. Since each home is priced according to its inherent value and the property that it resides on, the prices for a home can rise dramatically over time. Therefore, because of all of the variables involved in owning a new home and downturn in the economy, people are always looking for the best ways to eliminate large portions of their cost. Fortunately, due to all of the innovations in technology, there are different ways that people can beat this game, and that is to seek out creative ways to achieve these objectives. One, in particular, involves looking options like prefab houses. Before making this kind of decision, however, it is important to review both the pros and the cons. • Less Expensive than traditional home building. According to various reputable sites on building prefab wooden houses, homeowners can get a substantial break in financing on building these kinds of homes. On the average, the amount of reduction is about 10% to 20%. • Quicker Construction schedules compare to that of the traditional home building. When a homeowner wants to save time on the construction of their home, it is important that they understand the differences between traditional prefab wooden houses and the traditional timing. Especially, because these types of constructions jobs are lessened by as much as 1 to 4 months. • Layouts are flexible. Unlike the traditional home building, prefab houses are more flexible. This is because the owner has a variety of options to make their selections that can vary the size, design and its overall layout. • Financing for these homes is available. Therefore, there should be no differences in financing these structures when compared to financing the traditional brick and mortar structure. • Automatically designed for Energy Efficiency. Another great benefit to this type of structure is that fact that it is designed with energy efficiency in mind. Therefore, before the home goes up, the owner should already know how their utility bill will be affected since these options are built in on the front end of the construction. • Limitations. 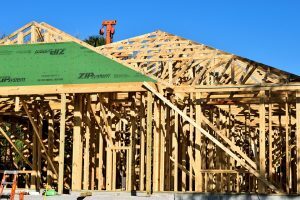 Though there are many different benefits to building this kind of home, there are some downsides involved in these construction jobs too. This is also why it is important that people do their research in advance. For instance, one of the biggest restrictions is being able to select a limited amount of interior fittings and fixtures. The number of limitations is based on the manufacturer that the homeowner is working with. •Home owner can expect more juggling to complete the structure. For instance, the owner will have quite a few steps before them including identifying the property, securing the loan and working with a custom builder to complete these jobs.